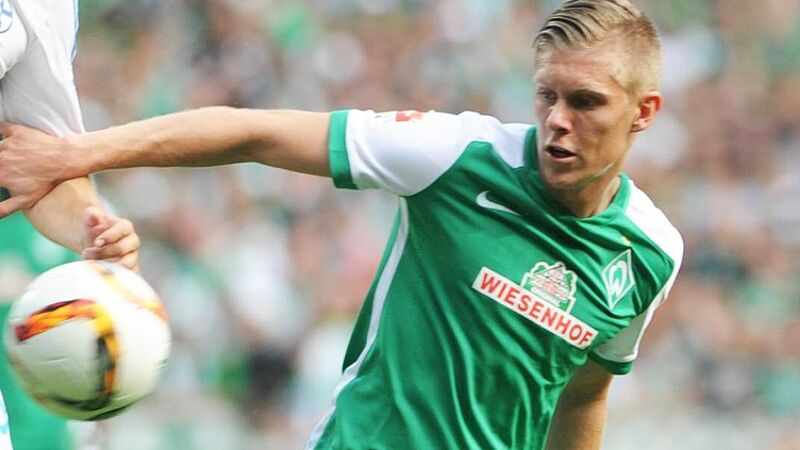 Cologne - USA international forward Aron Johannsson is chomping at the bit to be given his first Bundesliga start for SV Werder Bremen. After appearing from the bench in last weekend’s opening day defeat to FC Schalke 04, Aron Johannsson is hoping to go one better and be named in the starting line-up when Bremen travel to the capital to face Hertha Berlin on Friday evening (kick-off 20:30 CEST). Despite his team falling to a disappointing 3-0 defeat, the 24-year-old acquitted himself well against the Royal Blues on Matchday 1, getting stuck into challenges and regularly stretching his legs to add some extra pace to the Bremen attack. Now the former AZ Alkmaar man intends to do so alongside striker partner Anthony Ujah from the beginning. What could count in Johannsson’s favour is that coach Viktor Skripnik may be tempted to adjust his formation from a 4-3-3 to a 4-4-2 on Friday. Last week, Levin Öztunali and Fin Bartels supported Ujah as wide forwards, but with Bartels a doubt to face the Berliners, starting with two strikers could be the solution.